British Airways is hoping that the number of weekly flights between Saint Petersburg and London will be increased from five to seven when bilateral government talks are held in January 2004. This was announced by British Airways Commercial Director for Eastern Europe Daniel Burkard at a press conference in Saint Petersburg. He added that the British airline intends 'to appeal to its government about several other conditions that must be met by Russia. For example, Russia is the only country in the world which demands payment for flying in its airspace,' Mr Burkard said. Mr Burkard stressed that in the third quarter of 2003 the company has increased its number of passenger flights between Russia and Great Britain by 17%. Now the company is considering the possibility of providing a regular London-Yekaterinburg service in 2004. 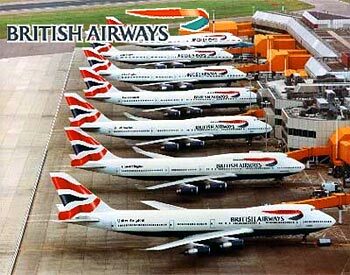 British Airways is one of the largest airlines in the world. It transported about 40 million people in 2002. Its rolling stock includes over 300 airplanes and until recently British Airlines operated flights on Concorde. The British company currently provides two daily flights to Moscow and five weekly flights to Saint Petersburg. The current aviation agreement between Russia and Great Britain stipulates that British Airways can only provide five weekly flights to Saint Petersburg. The British airline believes this is partly because local airline Pulkovo currently enjoys a natural monopoly on these flights. City news archive for 10 December' 2003.